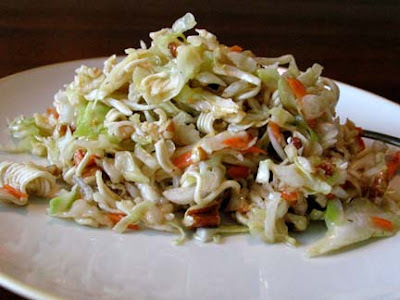 I was trying to recreate a slaw (Crunchy Chinese Chicken Salad actually) and used your recipe as the base. Never would have thought of ramen noodles. It's chillin' in the frig right now but I think it's a winner. Thanks!